The System of Rice Intensification (SRI) is a simple, low cost approach that is quietly transforming rice production around the world. It is now practiced by farmers in more than thirty countries. SRI is a set of practices based on single, widely-spaced, early transplants which are then grown under a water regime that alternates wet and dry periods and often uses organic fertilizers. Together, these practices lead to stronger plants and to systems which are much more water-efficient, especially when compared to rice grown under conventional methods. It is claimed to lead to a doubling of yields and to halving the use of water. Even though many scientists question it, SRI has spread rapidly among farmers, and many more are enjoying higher yields every year. Issue 29.1 of Farming Matters will look at this evident success, and explore the ways in which these practices have spread, from farmer to farmer, from country to country, and also from rice to other crops. We welcome contributions that unravel the “mystery” behind SRI. What are the benefits that farmers see? What indicators do they use to measure results? What extension or communication approaches are followed? How are farmers adapting it to their local context and conditions? What is the role of scientists, researchers and politicians? 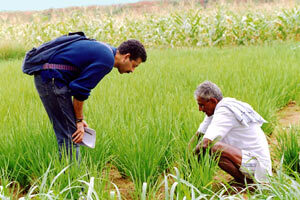 And why do scientific doubts remain even though more and more farmers are adopting it? Building on the SRI example, we will also look at the political and institutional support which is needed to ensure that farmers’ innovations and successes receive the recognition and support they deserve. Kathmandu, the capital city of Nepal where graduates youth from different 15 countries, more than 40 participants are gathered together with high number of gender inclusion to discuss on green economy that how youth perceive it and what needs to include in youth agenda focusing on mountain issues for upcoming global summit. Furthermore, this gathering will help to give elicit notion to participation of regional youth in the globally important meeting of upcoming UNFCCC COP-18. The main organizer of forum is The Small Earth Nepal (SEN) with co-sponsor of Consortium for Capacity Building (CCB) at the University of Colorado and the Asia Pacific Mountain Network of the International Centre for Integrated Mountain Development (ICIMOD), directly and/ or indirectly more than 17 different organizations are involved to bring this event on Kathmandu. Organizers has received more than 1000 of applications from where 40 youth got chance to participate in forum and later from these four will get access to participate in COP 18 that is going to held in 26 November to 7 December 2012 in Doha, Qatar. After the lunch, forum was leaded with Technical session where Dr. Golam Rasul shared his presentation covering Green Economy: Challenges and Opportunities in Mountain Perspective. Dr. Bhanskar Singh Karky conveyed his presentation on REDD+ and Forest Carbon, and Dr. MSR Murty on GIS towards Green Economy. The most interesenting technical session was followed by joint effort of Mr. Manjeet Dhakal and Mr. Dipesh Chapagain from Clean Energy Nepal. Dhakal shared overview on UNFCCC’s whole process on global summit and mentioned crucial issues that needs to focused on COP-18 from mountain regions. Similarly, Chapagain shared his knowledge and experience from the field of grassroot level of movement to global one’s. He mentioned, “youth can advocate for climate justice, equity and sustainability which is utmost for mountainous people.” Some misleading and misunderstanding in climate change: adaptation and mitigation process was rectifying the presentation from Prof. Michael H. Glantz. At last, Mr. Utsav Maden shared his nice and effectual presentation on Social Media for Youth Advocacy. The first day of workshop was ended with inception dinner at Nepali Chulo, Lajimpat, Nepal where all the participants have got the opportunities to know each other and share their opinion towards green economy. By the end of this forum will fruitful to develop the capacity of selected Asia-Pacific Youth on green economy, environmental governance and climate change adaptation. More pictures from the event are available at Asia Pacific Graduates Youth Forum on Green Economy and Asia Pacific Mountain Network . You can also get regular updates and share your queries by following twitter “#apyf2012”. The Adaptation Fund invites submissions of powerful images depicting the various ways in which individuals and communities in developing countries are adapting to climate change in the food and agricultural sectors. Photographers should aim to capture cooperation and innovation in activities that are clearly tied to improving human resilience to climate change. The most compelling and relevant photos will be eligible to receive prizes. The Fund will also feature the top photos and photographers on its website and in its publications. Employees, independent contractors, officers, and officials of the Adaptation Fund, advertising, promotion and fulfillment agencies, and legal advisors, and their immediate family members and persons living in the same household of such persons, are not eligible to participate in the contest. 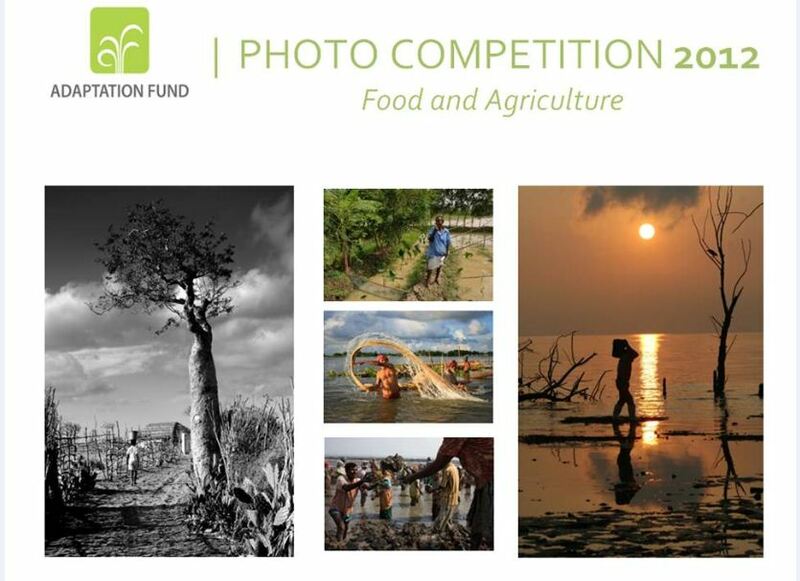 The Adaptation Fund Photo Competition commences on September 4, 2012, and the submission deadline is October 26, 2012. All entries must be received by 11:59pm (Washington, DC time) on October 26, 2012, via email to secretariat@adaptation-fund.org. An entry is considered timely only if received (and not sent) by this time. All entries require an entry form. Entrants will receive a confirmation email when their completed submission has been received. Note: This post was made based on email received from Alpha Oumar Kaloga, Adaptation to Climate Change/ International Climate Policy Team. The MyCOE/SERVIR Initiative in the Himalayas is a 10-month fellowship program for undergraduate and graduate students who are citizens of eligible countries*, currently enrolled in any field at an institution of higher education in an eligible country with plans for research that address themes of Climate Change in Mountain Area Regions using geographic technologies. Students are invited to propose a research project and will be competitively selected based on their long-term potential to contribute to these topics in the region. The MyCOE/SERVIR programme will provide students with customized capacity training in GIS, remote sensing, GPS, and/or spatial techniques to help them enrich their research proposals. They will also receive professional development, have access to additional mentoring by international experts, and engage in an online community with other fellows. Interested students must apply with a mentor who is willing to work closely with them throughout the duration of the programme and attend the capacity building workshop to be held at the International Centre for Integrated Mountain Development (ICIMOD) in Kathmandu, Nepal, in February 2013. The programme provides travel support and research stipends for both students and their mentors. Up to 15 students-mentor teams will be selected for this Initiative in the Himalayas. Over the life of the programme, participants will have the opportunity to interact and exchange ideas with approximately 60 teams from around the world that will be selected through other MyCOE/SERVIR global initiatives. Afghanistan, Bangladesh, Bhutan, India, Nepal, and Pakistan. Please note that to be eligible, all participants must be citizens of one of the eligible countries AND also be studying (students) or working (mentors) and residing in the same or another of the eligible countries. This post was taken from http://www.icimod.org/?q=8718 for the dissemination purpose to more interested applicants. Farmers and other inhabitants of dryland areas are increasingly getting affected by poverty and food shortages due to deforestation, soil erosion, loss of soil fertility and biodiversity, and climate changes. These have been the direct effects of the policies, practices being practiced over the years, leading to both depletion and increased abuse of natural resources. Over 250 million people are directly affected by desertification, and about one billion people in over one hundred countries are at risk. These people include many of the world‘s poorest and the most marginalized communities. (UNCCD). According to the fourth World Water Development Report (WWDR4) drylands and deserts make up over 41% of the Earth and are highly vulnerable to desertification and water shortages. Efforts are being made by government agencies, NGOs, research and academic institutions, farmers in various parts of the country to address the issue, most often with community support. NGOs have been promoting desertification control by actively organising the local communities in activities ranging from watershed development, soil and water conservation, tree growing etc. How did they go about arresting the decline and changing the scenario? What has been the impact of their efforts? Very often these efforts have been carried out in remote locations too! At the global level too, the International Convention on Desertification is supported by 193 countries and the European Union. The Convention has come out with a 10-year Strategic Plan wherein the Parties have laid out a clear vision to reverse and prevent desertification and land degradation. Many affected countries have started the process of aligning their national action programmes to this strategy. For the December 2012 issue of the LEISA INDIA, we invite articles which deal with a wide diversity of subjects related to combating desertification such as: participatory formulation of national action plans, strengthening of local institutions, participatory learning, monitoring and evaluation, successful approaches and actions to combat desertification and effective strategies for up-scaling. Articles on successful actions could deal with : micro-watershed management, land use planning, water and soil conservation, greening the drylands, livestock and rangeland management, crop diversification, development of integrated systems, indigenous knowledge and farmer or research innovations. Please send your articles for the December issue of LEISA India to leisaindia@yahoo.co.in before 31st October, 2012.
Who can participate: Students and young professionals aged 18-30. Past CIPE Youth Essay Contest Winners are not eligible to participate. Length and language 1,500-2,500 words. All essays must be in English. All essays must be submitted through our online form and must include the writer’s name in the file name and inside the document. Winners: For each category, CIPE will publish the winning first, second, and third place essays. Winning authors will receive a $500 honorarium. One grand prize winner will be invited on an all-expense-paid trip to attend CIPE’s upcoming Democracy that Delivers for Entrepreneurs conference in the United States, which is planned for April 2013.